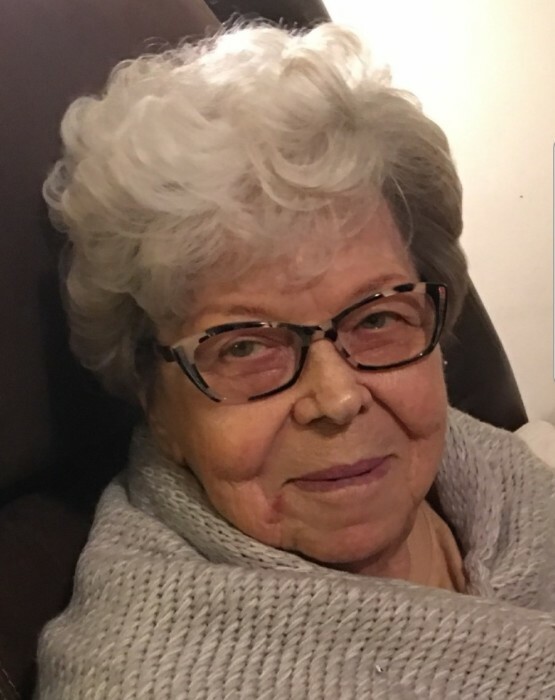 Evelyn McVey, 83, of Flemingsburg, passed away Monday, December 3, 2018, at Fleming County Hospital. Born on April 15, 1935, in Goddard, she was the daughter of the late Clifford Reeves and the late Mae Lawrence Reeves. Evelyn is survived by her husband, James McVey, Sr.; her children, Joyce Richmond, Jerry McKee, Gary McKee and wife, Dianne, Mary Doyle and husband, Darryl, Norma Johnson, Joanna Smith and husband, Steve, and James “Jimmy” McVey, Jr. and wife, Denise; several grandchildren; several great grandchildren; several great, great grandchildren; and her sister, Dorothy Conley. In addition to her parents Clifford and Mae, Evelyn was preceded in death by her son, Glenn McVey; her siblings, Earl Reeves, Wilson Reeves, and Helen McKee; her son-in-law, Joe Richmond; and her daughter-in-law, Judith McKee. Services will be 1 p.m., Thursday, December 6, at Boone-Nickell Funeral Home with Bro. Tony Conley officiating. Evelyn will be laid to rest in Goddard Cemetery. Pallbearers include Darrell Doyle, Kenny Richmond, Brian McKee, Jeremy Johnson, Jonathon Johnson, Jimmy McVey, Joshua Smith, and Zachary Smith. Honorary pallbearers include Darryl Doyle., Steve Smith, Anthony Parker, Danny Richmond, and Bill Conley. Visitation will be 11 a.m. to 1 p.m., Thursday, at the funeral home.